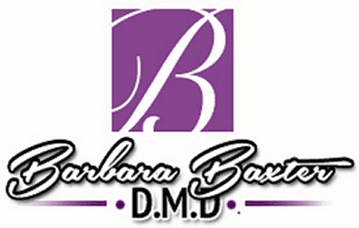 Testimonials & Reviews - Washington, DC: Barbara Baxter, D.M.D. Barbara Baxter, D.M.D. always appreciates feedback from our valued patients. To date, we’re thrilled to have collected 86 reviews with an average rating of 4.83 out of 5 stars. Please read what others are saying about Barbara Baxter, D.M.D. below, and as always, we would love to collect your feedback. The hygienist was rough on my gums. Bi-annual cleaning by thorough hygienist; hi-tech X-ray and examination by Dr. Baxter make a visit to this dentist a brilliant experience. Very quick appointment! In and out in no time for a cleaning. I was seen right when my appointment was scheduled for. Great care and an overall wonderful experience. Fantastic service! Most wonderful staff! Thank You!! Excellent treatment and service as always. I have been going to this practice, father and now daughter, for 52 years. As usual the services were performed very competently and efficiently. No wait. As always, attentive staff, on time, no wait. Excellent, meticulous job cleaning. Thank you! Courteous and professional staff. Getting my teeth cleaned was a breeze!! My visits are always a "no hassel" experience. Appointments start on time. Xrays, cleanings and check-ups are efficently executed. The office has a relaxing decor and the staff and Dr. Baxter are a very friendly group. My son and I are extremely happy with the hygienist service. Ms. Perlman is the only hygienist who can really do the cleaning of my son who has Down’s syndrome. She’s patient and gentle with him! She’s a great hygienist!